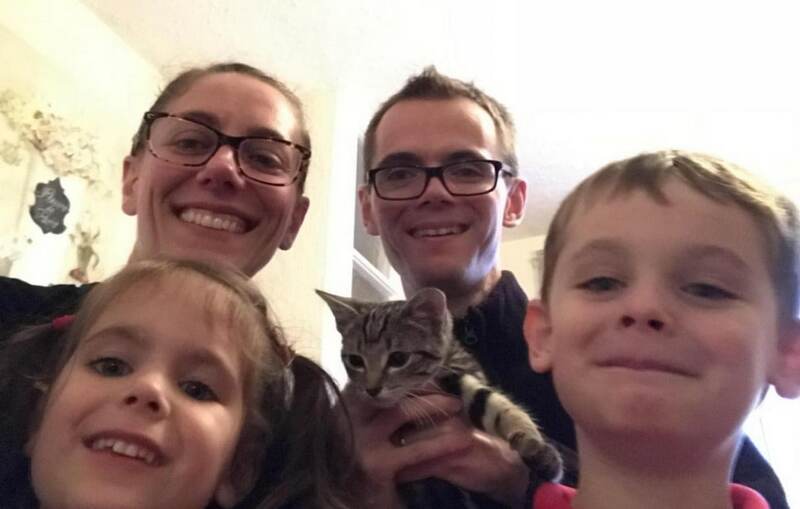 It was six-year-old Thomas who first discovered Spock, their 15-week-old tabby, was meowing and alerted his Mom. He thought the kitten was stuck in the dishwasher. What was even more disconcerting was the machine was in operation. “I opened the cupboard next to it and realised [sic] he was in there. I could only see his back end as his head was stuck in a small hole where the plug for the dishwasher goes,” Mom Heather Shiels told the Bolton News. Dad, Paul, and Mom got to work right away trying to free the curious feline. 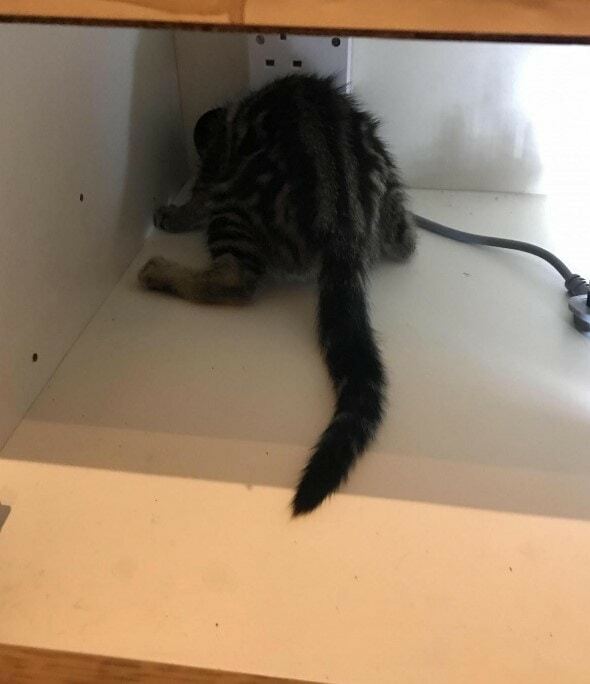 “We tried to pull him out really gently and tried taking the bottom of the cupboard out to get access from there but nothing was working.” The kitten soon became distressed and the family reached out to the RSPCA for assistance, but even they had challenges. Angela Paxton-Taylor, an inspector with the organization, tried cooking oil and margarine trying to free Spock, but he wouldn’t budge. 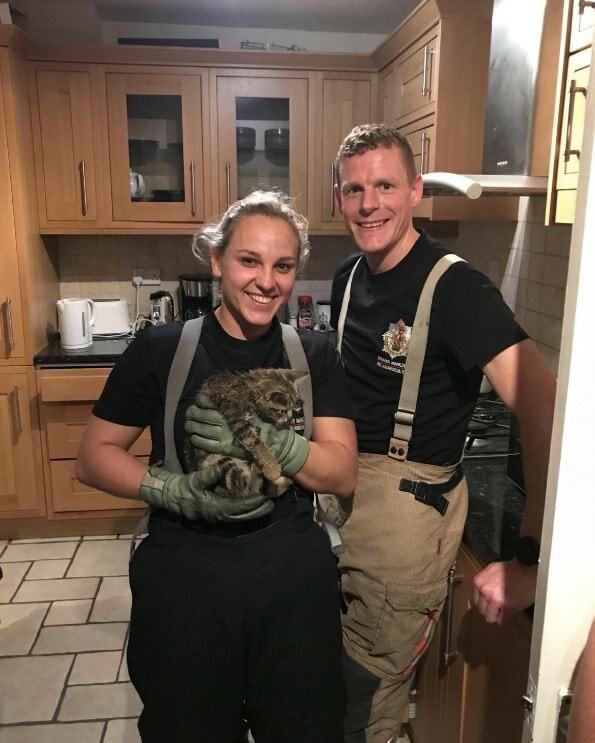 She made several attempts and it became clear the local firefighters would have to be called to the rescue. 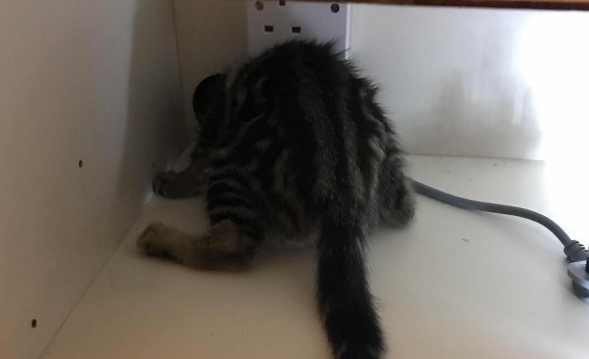 Firefighters did, indeed, come out, and upon investigating the circumstances, switched off the circuit connected to a live wire only inches away from Spock. Using an electric saw and drill, they managed to carefully cut the cupboard as they worked to extract him. Spock was taken to the vet clinic after his experience, to make sure he was okay from the ordeal. Fortunately, the worst he suffered was a very sore neck. “I think he’s definitely used up one of his nine lives. 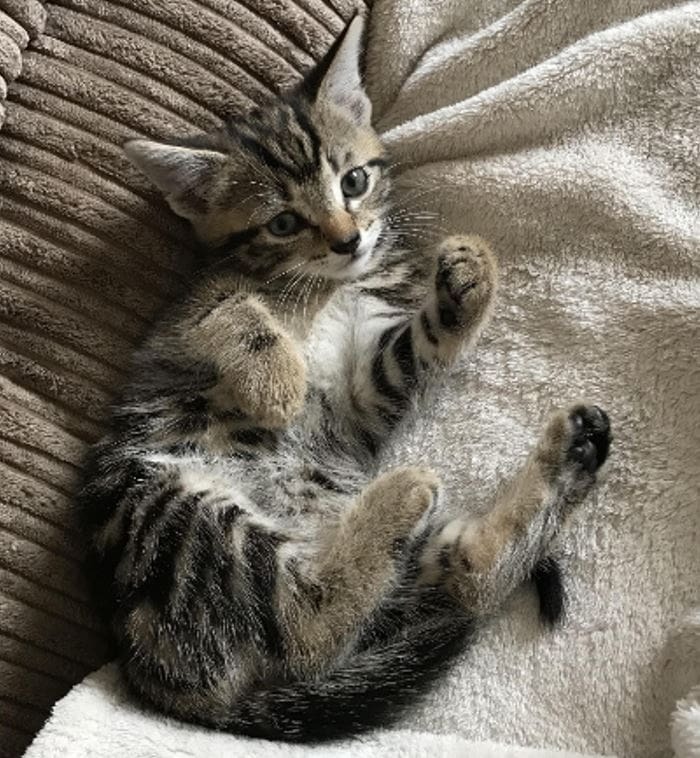 To say that curiosity got the better of this kitten might just be an understatement.